Actor Ram Charan, who awaits the release of forthcoming Telugu actioner “Bruce Lee: The Fighter”, says he will soon be launching two new production houses and also work with his star uncle Pawan Kalyan. “I’ll be starting two new production houses – Konidela Productions and White Horse Entertainments. My first film as a producer will be my dad’s (Chiranjeevi’s) most awaited 150th film which will be announced soon,” Ram told. He also said he’ll be doing a film with his uncle next year. “I recently met him on the sets of his film ‘Sardaar Gabbar Singh’, and we discussed about working together. I plan to do a film in his production next year,” he said. Ram also said a project will filmmaker Gautham Menon is still on. “If everything goes as planned, Gautham and I will be doing a film next year,” he added. Ram’s “Bruce Lee: The Fighter”, releases in cinemas on Friday. Ram Charan Tej’s upcoming Srinu Vaitla directorial is all set to commence shooting from May 21st. Rakul Preet Singh is playing the female lead for Ram Charan. Dookudu director is planning to film two songs featuring Charan and Rakul Preet during the first 10 days schedule from 21st to 30th of May in Europe. Regular shooting will start in Hyderabad from June 3rd. 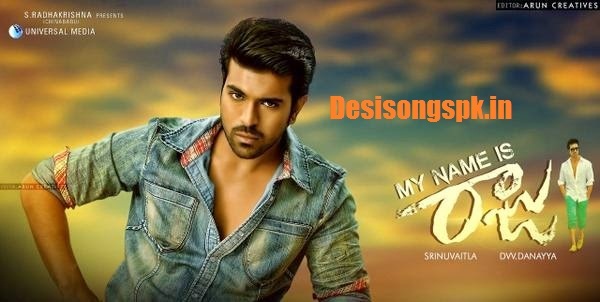 SS Thaman will compose music for Ram Charan’s My Name is Raju. Kriti Karbanda will be seen as Ram Charan’s sister in this DVV Danayya Entertainments producing film. During the press meet makers have announced My Name is Raju release date as October 15th. Actor Ram Charan face to face interview with ABN MD Mr. Radha Krishna in Open Heart with RK. Ram Charan latest block buster Govindudu Andarivadele , co- starring Ram Charan, Srikanth, Prakash Raj, Jayasudha, Rajkiran, Naga Babu and Kamalinee Mukherjee in the lead roles. Directed by Krishna Vamsi, Music by Yuvan Shankar Raja and produced by Bandla Ganesh. Ram Charan has also starred in Yevadu, Naayak/Nayak, Magadheera, Chirutha, Racha/Rachcha, Orange.